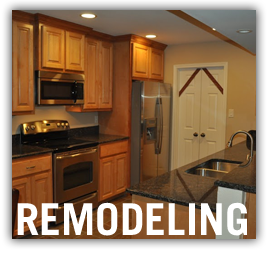 We Bring Custom Home Remodeling, Construction and Restoration to YOUR Home and Family. 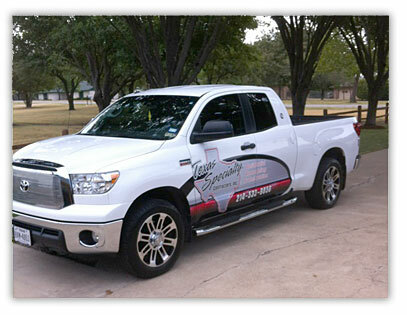 Texas Specialty Contractors is a an experienced in all forms of home remodeling, repair and restoration and construction company with more than 30 years of quality work and satisfied customers. 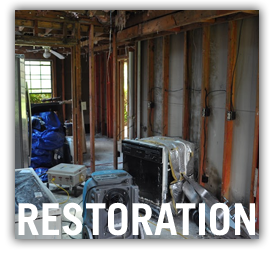 Whether you are looking to remodel your kitchen, bathroom and living areas or are recovering from a fire or water damage, Texas Specialty Contractors will help you rebuild your dream house and bring life back into your family's home. 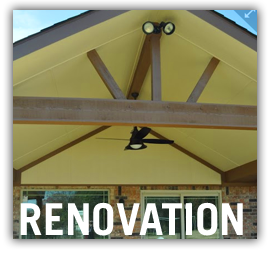 We meet and exceed our customer expectations at Texas Specialty Contractors through personal attention to details, budget conscious construction and the pride we take in our craftsmanship and quality work. We provide experienced general contractor service to both large and small projects, interior or exterior. 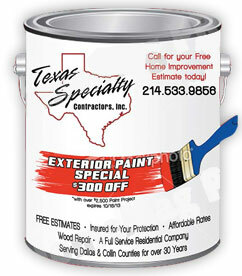 Let us help you remodel or renovate your next home project. >>Review our list of services and contact us today!